We offer SMPS power supply like SMPS supply or switch mode power supply to meet the requirements of control panels, medical instrumentation and process industries. The range procured by different vendors is durable and reliable and features AC input range that is selectable by switch. Small manageable sizes. We have available Meanwell, LUBI, Delta make SMPS. With the help of our professionals, we have been able to offer our clients a qualitative range of LUBI make Power Supply. 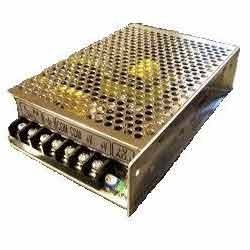 This product is suitable for fulfilling the needs of control panels, medical instrumentation and process industries. The offered product is developed by using high grade raw material & contemporary techniques in fulfillment with the set norms. Offered product is available with us in various specifications to choose from. 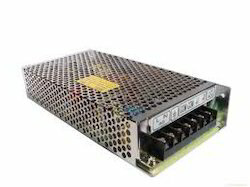 We are enlisted amongst the reckoned names in the industry, we offer diverse array of Switched Mode Power Supply - SMPS. This product is inspected in terms of quality in order its make certain its flawlessness. Our provided product is developed by our skilled professionals using well-tested material and sophisticated technology. Also, the offered product is extensively appreciated by our customers for its easy installation and durability.